Chicago police used a parked car to track down the suspected driver in a deadly hit and run crash in West Englewood. 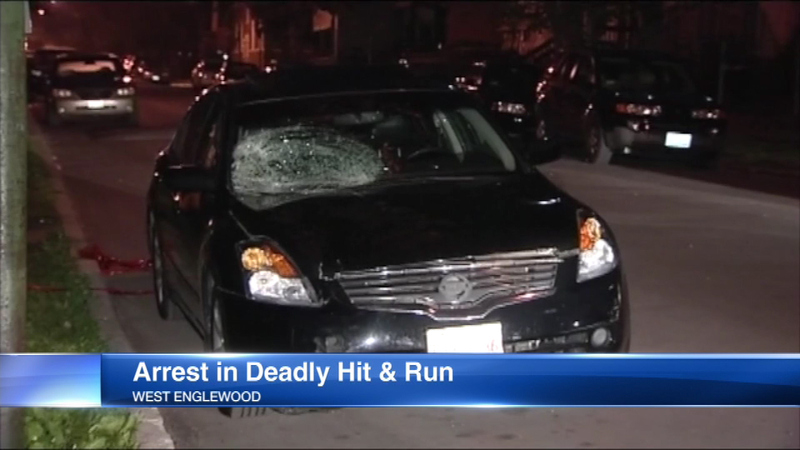 CHICAGO (WLS) -- Chicago police used a parked car to track down the suspected driver in a deadly hit and run crash in West Englewood. Rashaad Jackson faced a judge Monday following his arrest in Alsip. Police said he was driving the car that hit and killed Terrell Walker last week. Walker was crossing Ashland Ave. when he was struck. Investigators later found the car with a smashed front windshield parked about a block away.